Medicaid provides health coverage to low income individuals and families as well as the disabled. As part of the Affordable Care Act, the federal government is looking to expand the number of people who would be eligible for Medicaid. As part of the Affordable Care Act, the federal government is looking to expand the number of people who would be eligible for Medicaid, which provides health coverage to low income individuals and families as well as the disabled. In Florida, this would directly affect 1 million people -- 600,000 of which live in South Florida. U.S. Secretary of Health and Human Services Kathleen Sebelius spoke in Miami recently about the offer the state has so far refused to accept, explaining that the federal government would provide 100 percent coverage for the first three years and then gradually reduce their share. At no time for a 10-year period would the share for the federal government be less than 90 percent, she said. "It's a pretty good return on investment with about 53 billion dollars in resources coming into the state of Florida to help insure an uninsured population and it's fully paid for within the bill," Sebelius said. The number one question when it comes to the Affordable Care Act is, "How much will it cost?" NBC 6's Jackie Nespral speaks with James Ferriero from Sunsure Insurance who explains how the new law will affect your wallet. Initially, Gov. 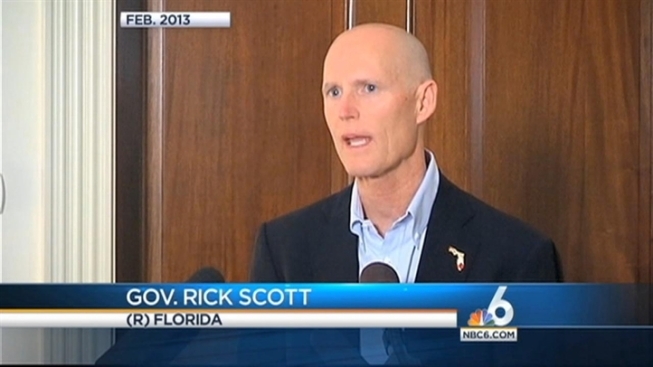 Rick Scott opposed Medicaid expansion, but he had a change of heart in February. "No mother or father should despair over whether they have access to high quality healthcare for their sick child," Scott said. "While the federal government is committed to paying 100 percent of the cost, I cannot in good conscience deny Floridians that needed access to healthcare. We will support a three-year expansion of our Medicaid program under the new healthcare law." Although the state Senate came up with a compromise, the Florida Legislature has yet to approve the expansion. Several employers are cutting hours in anticipation of the new health care law that mandates businesses to supply health insurance to anyone working 30 or more hours a week. 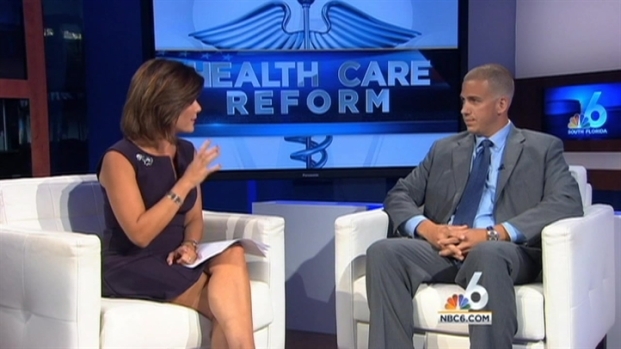 NBC 6's Pam Giganti reports. "The house has decided they're not interested in doing that expansion," Scott said. Meanwhile, the federal government maintains hope for a resolution. "There is still an active and ongoing and very important discussion here in Florida about Medicaid expansion," Sebelius said. Medicaid eligibility is now 100 percent of the poverty level, which is a yearly income of $11,490. With expansion it would go up to 133 percent of poverty level to $15,282. Right now in Florida, low income families with children, children alone, pregnant women and the disabled are eligible for Medicaid. Expansion adds childless couples and single people. The South Hospital Association has come out in support of Medicaid expansion and hopes the legislature reconsiders. That would mean fewer unfunded patients and better use of emergency rooms, which are often used as an alternative to a doctor's office since they cannot turn away patients.